New Delhi, Mar 06: On allegations referring to the number of casualties in the air strike, the Union Home Minister defended the IAF. 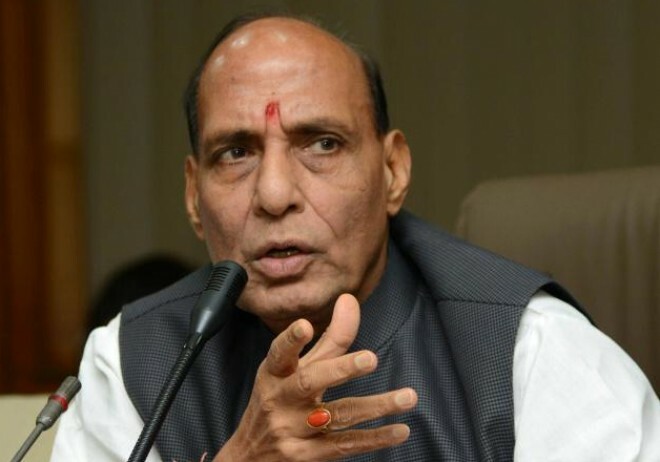 Union Home Minister Rajnath Singh said the government does not have the number of Jaish-e-Mohammed terrorists killed in the IAF strike in Pakistan's Balakot. He claimed that the National Technical Research Organisation (NTRO) has informed that around 300 "active" mobile phones were at the JeM training camp site before the IAF bombing. The minister said anyone who is doubtful about the success of the air strikes should go to Pakistan and count the dead bodies. He said, "Some leaders of other political parties are asking us questions about how many terrorists were killed in the IAF strike. Someday, it will be known how many were killed. Leaders in Pakistan know in their hearts how many perished in the IAF attack."